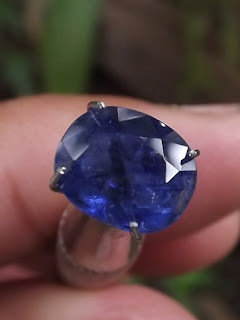 This is a real nice blue color of Natural Ceylon / Sri Lanka Blue Sapphire. The dimension of the gems is quite good in size, 8,5mm x 7,3mm x 4,5mm. 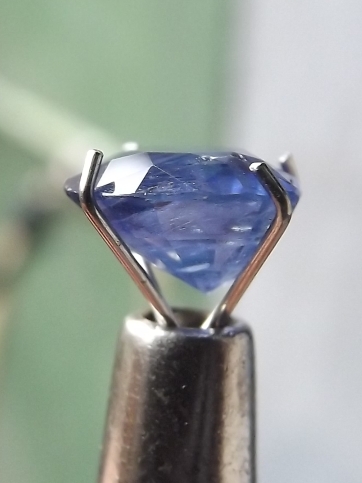 Minus only on the asymmetric triangle bottom as you can see on the picture no. 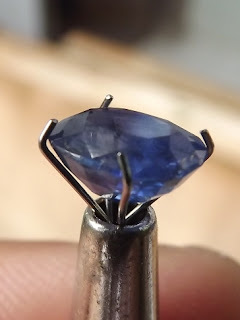 3, but it doesn't matter after the sapphire is set into a ring. Price: Rp. sms / call shipping cost is included for Indonesia areas delivery only! 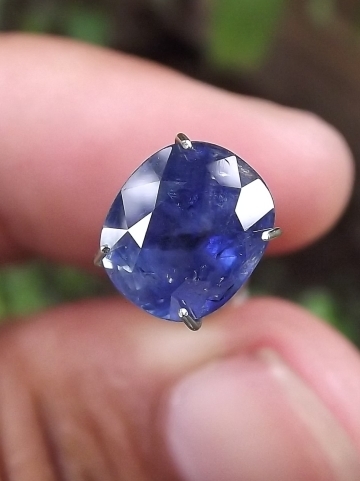 Get this nice Blue Corundum now! 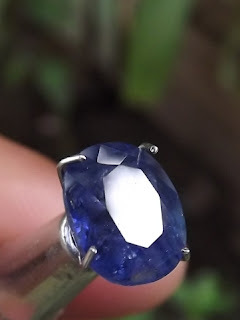 Natural Ceylon Sapphire!